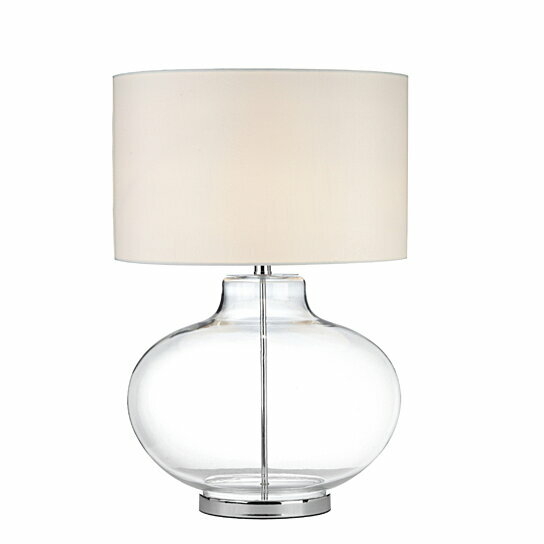 Bring this to impart a trendy style or rich look to your table top lighting. Made up of glass and metal, this table lamp will not only illuminate your table space but will also give home interior a classy look. With a glass sphere and metal pole running through it, this beautiful lamp will look great on any table and save the floor space. A white-colored lampshade will radiate a warm and gentle light through it. This comes with a 36" power cord. Use one 60 watt bulb in the holder to spread the glow.